Chess Boards for any chess set. From Teak wood chess boards, to luxurious glossy chess boards. 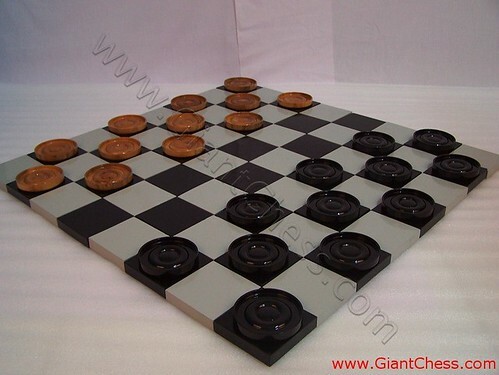 This attractive wooden chess board is made of Teak wood in high quality. Finishing with perfect touch of professional craftsman and furnished as elegant one. White and black with specific size of chess board, make it more interesting. Our wood chess boards come in a variety of sizes and designs, and most are crafted in Java Island. The island has filled with a lot of trusted craftsman. The chess boards are made of a fine enamel-painted brass plate over pressed wood, with a variety of sizes. We offer the high quality of wooden chess for you. You can use it for your chess game with your partner. Make sure that your game feel interesting then you can enjoy it.